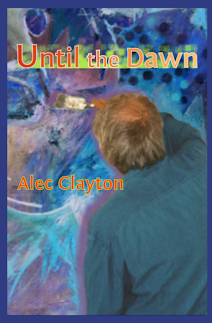 by Alec Clayton – A legendary artist vanishes at the height of his career – Red Warner, an artist from a small town in Mississippi, makes it big in New York and then vanishes following a wild party in his SoHo loft. To discover what happened and why, a childhood friend immerses himself in their shared history in a search that carries him back to his Mississippi home and a secluded fishing camp on the coastal bayous. Along the way we learn how a small town football player coming of age in the time between World War II and the sixties became a leading artist of his time and about the secret that has haunted him since he left the South. Until the Dawn is a coming of age story, a coming out story, and a story that brings together two worlds: the New York art world of the 1980s and the racial strife of the Deep South in the 1960s. “Stunning debut novel by a wise new voice in American fiction” – Dave Gantt, librarian, Washington, D.C.
Order Until the Dawn from your favorite bookstore or Amazon.com.